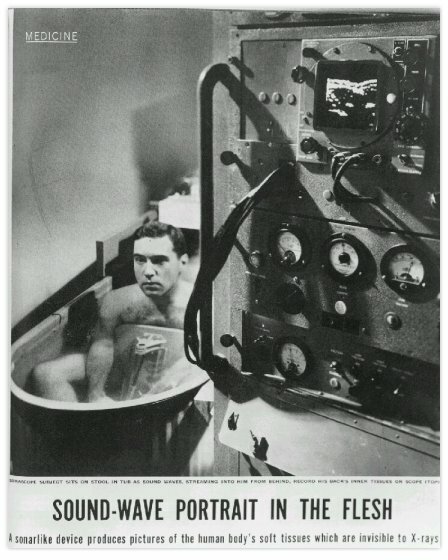 In this image from a 1954 LIFE Magazine article, Jerry Posakony's own kidneys are scanned by his experimental Somascope — an early medical diagnostics innovation. Posakony went on to a long career at PNNL and his pioneering contributions to ultrasonics technology served as the basis for modern ultrasound systems. RICHLAND, Wash. — Gerald "Jerry" Posakony, a longtime researcher for the Department of Energy's Pacific Northwest National Laboratory, passed away May 27, 2017, at the age of 92. Over the course of a career that included more than 40 years at PNNL, Posakony's work centered on designing, developing and deploying first-of-a-kind nondestructive evaluation inspection and measurement systems, including ultrasonic transducers and the associated circuits and systems. His pioneering contributions to ultrasonics technology for investigating disease processes in the human body served as the basis for most of the medical diagnostic ultrasound systems in use today. Posakony's work in ultrasonics, medical diagnostic ultrasound and nondestructive evaluation technologies was honored by the American Association of Engineering Societies. He was also the recipient of the American Society for Nondestructive Testing's Lester Honor Award and their Gold Medal Award, the American Institute for Ultrasound in Medicine's William J. Fry Memorial Award, the American Society for Testing and Materials Award of Merit, Institute of Electrical and Electronics Engineers Honorary Membership, and the American Association of Engineering Societies' John Fritz Medal. "Our mission at PNNL is to transform the world through courageous discovery and innovation, a charge that Jerry Posakony embraced with passion and personified throughout his career at the Laboratory," said PNNL Director Steven Ashby. "As a pioneering visionary and international technical leader in ultrasonic imaging, Jerry's contributions have led to transformations that have touched nearly everyone's life." Born in Pocahontas, Iowa, Posakony served aboard the USS Roncador submarine during World War II. 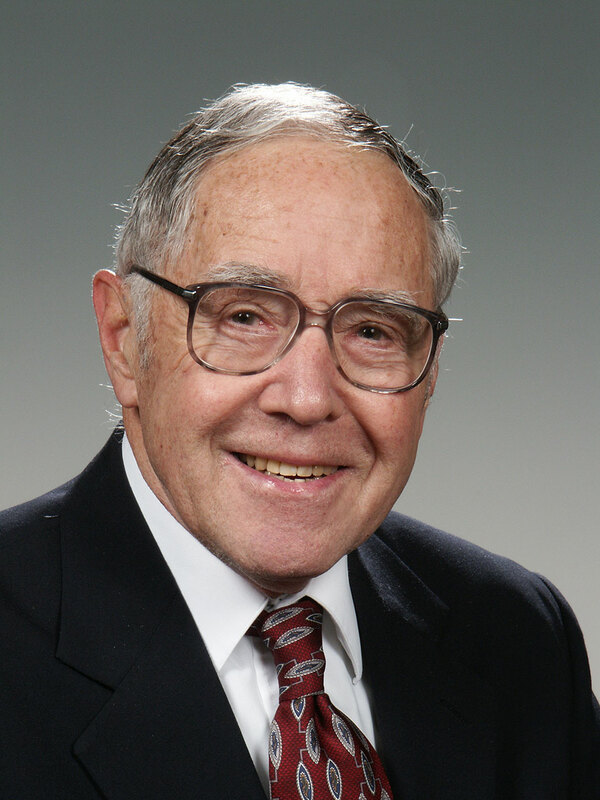 He went on to earn a bachelor's in Electrical Engineering from Iowa State University in 1949, and began research in ultrasonic diagnostic imaging. His career brought him and his family to Richland, in 1973 where he applied his research and innovation acumen for the laboratory. After retiring from PNNL in 1991, Posakony consulted throughout the world on non-destructive testing and enjoyed using his laboratory privileges and consulting until he officially turned in his badge in the fall of 2014. Posakony is survived by Jane, his wife of 56 years, four children and nine grandchildren.